Show me someone who has apologised more times in the last few days and I’ll show you Nairobi’s latest fraudster Edwin O Osigro, who goes by the brand name Wilkins Fadhili. Fadhili, a self-proclaimed brand strategist extraordinaire, has been apologising left, right, and centre in the wake of damning allegations about his fraudulent ways. The man painted quite the picture of a successful brand development expert, listing a host of top Kenyan public figures as his clients to spruce up his portfolio. Some of these brand names included Larry Madowo, Betty Kyallo, Adelle Onyango, Julius Yego, Elani, Victoria Rubadiri, Willis Raburu among others. With some of the celebrities seeking legal redress against Wilkins, K24 TV news presenter Betty Kyallo has elected to forgive the serial con artist. Ms Kyallo recently admitted to having had one meeting with Wilkins but nothing was agreed on. He later used a photo they took in the meeting to claim he was her brand manager. 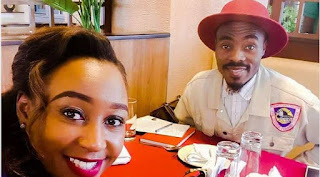 As he continues to make amends for his deceitful ways, Wilkins has apologised to Betty Kyallo in a message sent via WhatsApp. Betty Kyallo shared a screenshot of the apology in a social media post forgiving Wilkins. “Forgiven Wilkins. We all make mistakes, no one is perfect. We can only aspire to be better and then do better. I wish you well. God bless,” she Tweeted.